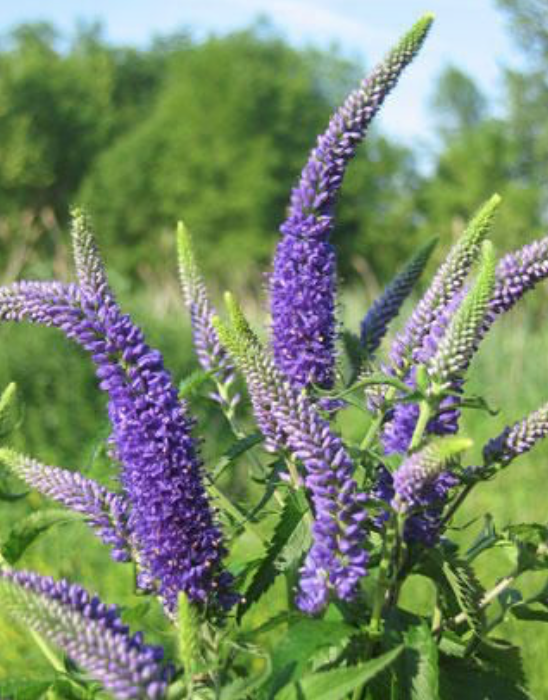 Buying: Look for a mix of open flowers and buds as this will last longer. 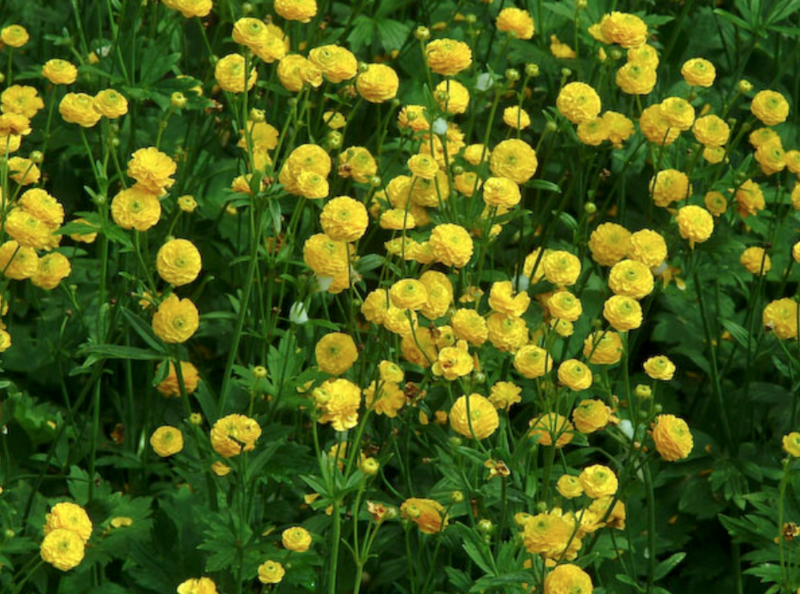 Arranging: Excellent as a mounded flower in a mixed or garden design. Beautiful blue hue that works well with similar colors or with contrasting colors. Agertum gives a soft textural addition to any arrangement. Buying: Make sure flowers are not crushed, stems are not mushy and heads are not droopy. Arranging: Allium is pungent so avoid placing on the dining room table. 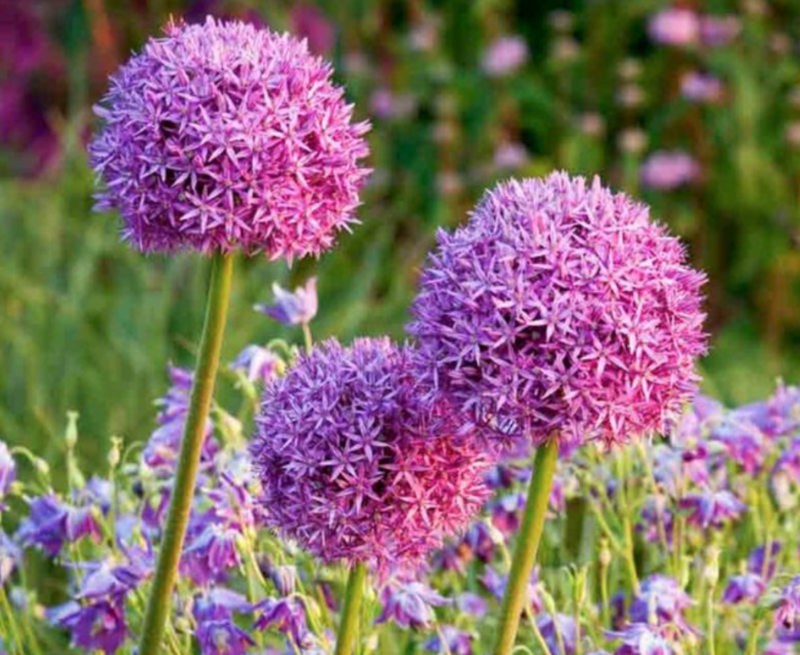 Allium makes a great statement flower for contemporary designs. Change the water daily as bacteria from the stems spreads rapidly. 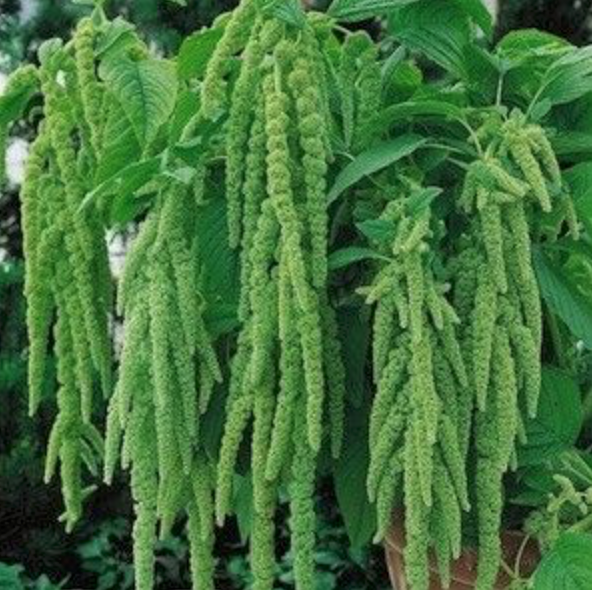 Buying: Amaranthus comes either upright or hanging. Avoid purchasing if there is any pollen drop. Look at the foliage to see if it is fresh. Arranging: Mix Amaranthus with smooth textured flowers to give a contrast of textures. Hanging Amaranthus looks good in tall vases and candelabras where the flowers can trail down. 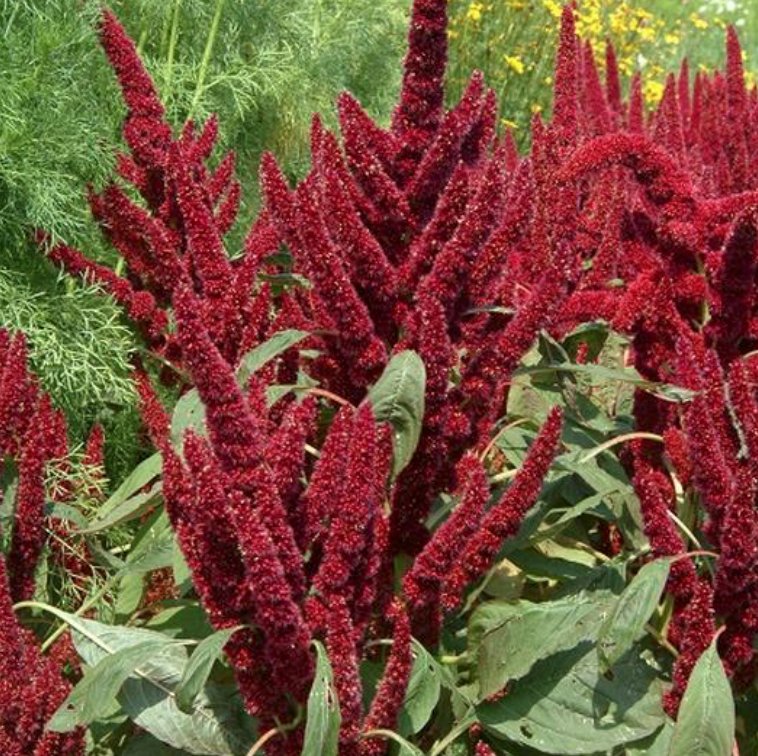 Upright Amaranthus looks good in mixed bouquets where it adds texture. 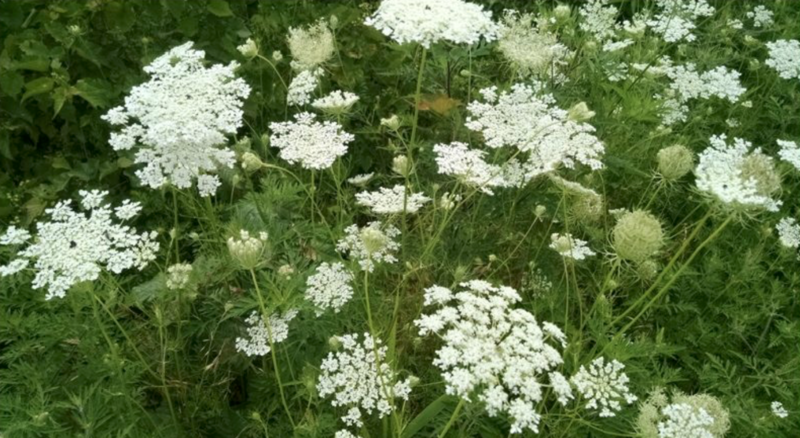 Buying: If treated correctly Ammi will last up to a week. Once it droops it will not revive. Arranging: A great filler flower for large pedestal and vase designs. Buying: Make sure some of the flowers are open. If it is all bud, it will not open. 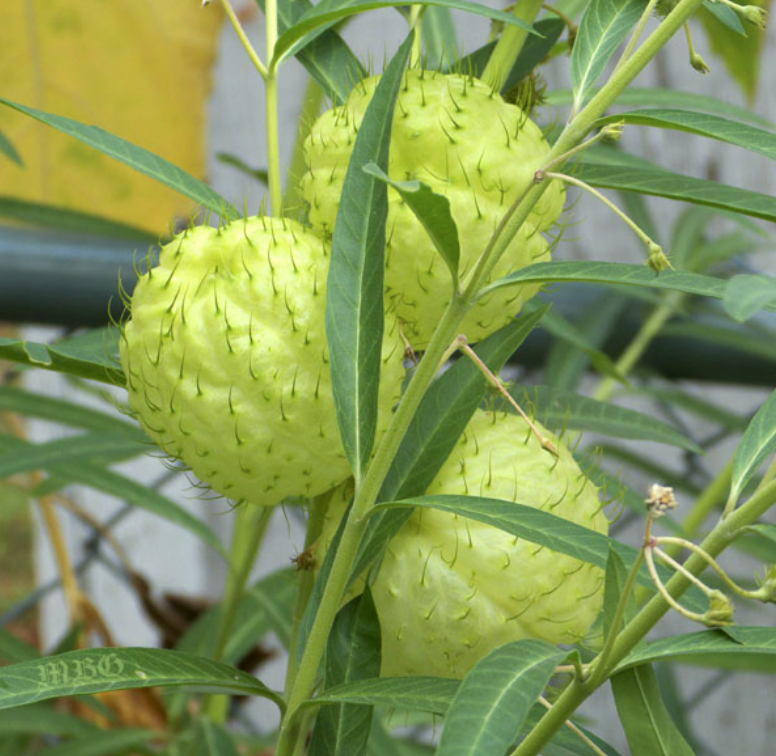 Arranging: The stems of Asclepias contain latex, which will block water from getting into the stem. Burn the end of the stem for a few seconds to seal the milky liquid. 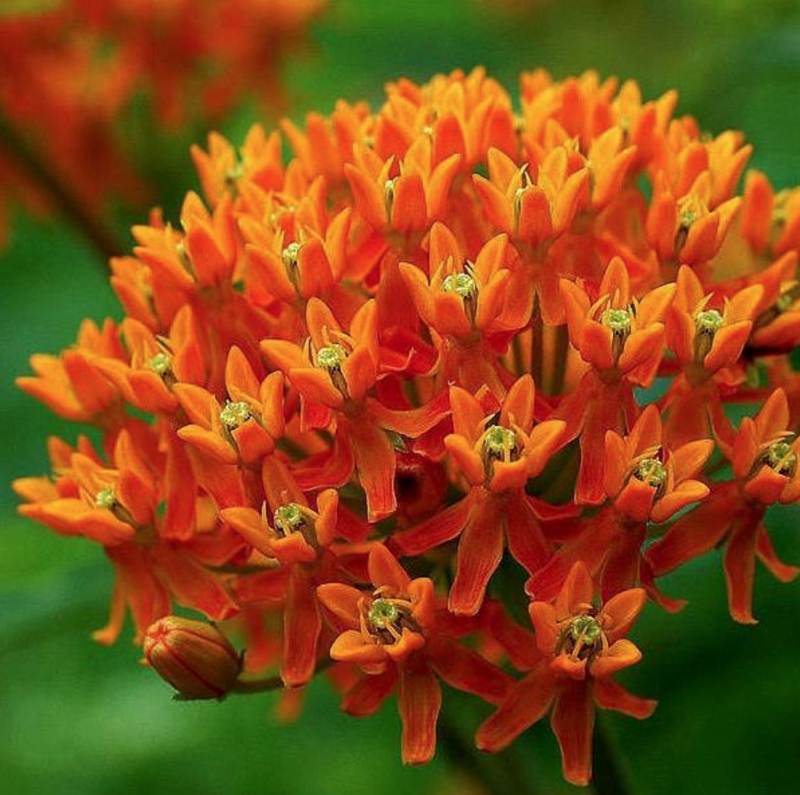 Asclepias has an awkward shape so it looks best mixed with round flowers of strength colors. Buying: Check the foliage to be certain it’s green and not brown. Check the balls to make sure that they are intact and not crushed. 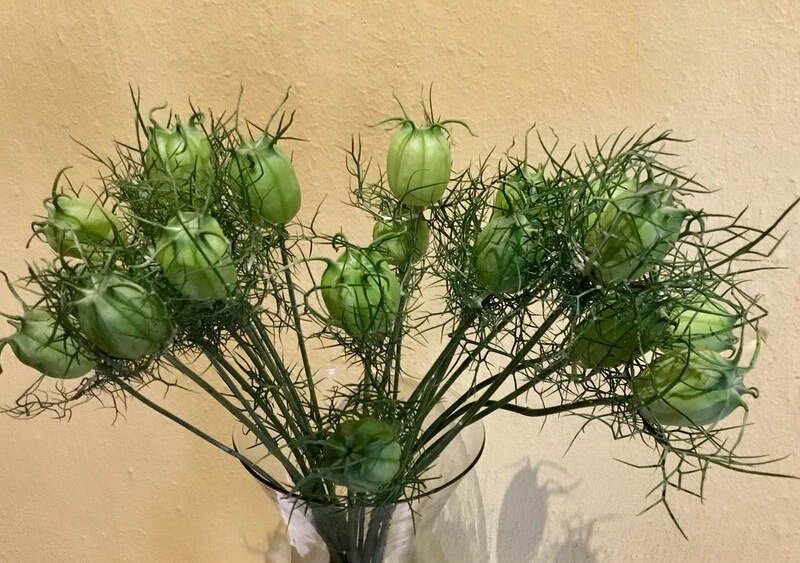 Arranging: Bishop’s Balls can be placed in a tall vase by themselves, or the stems can be cut down so just a few balls can be used in a mixed arrangement. 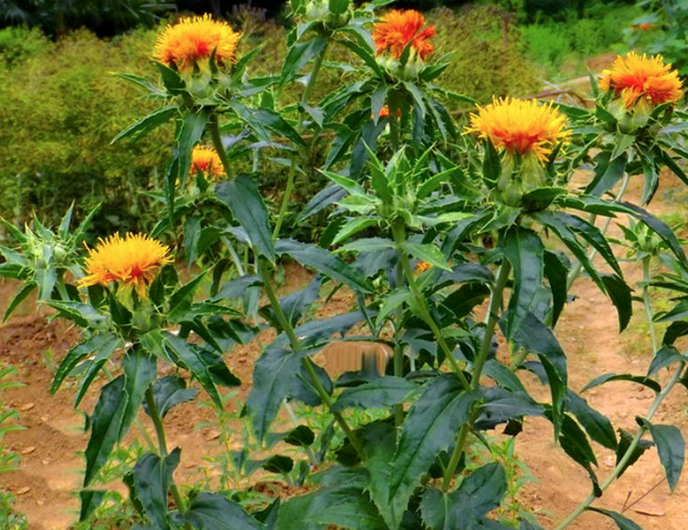 If you love unusual looks, this is your flower. 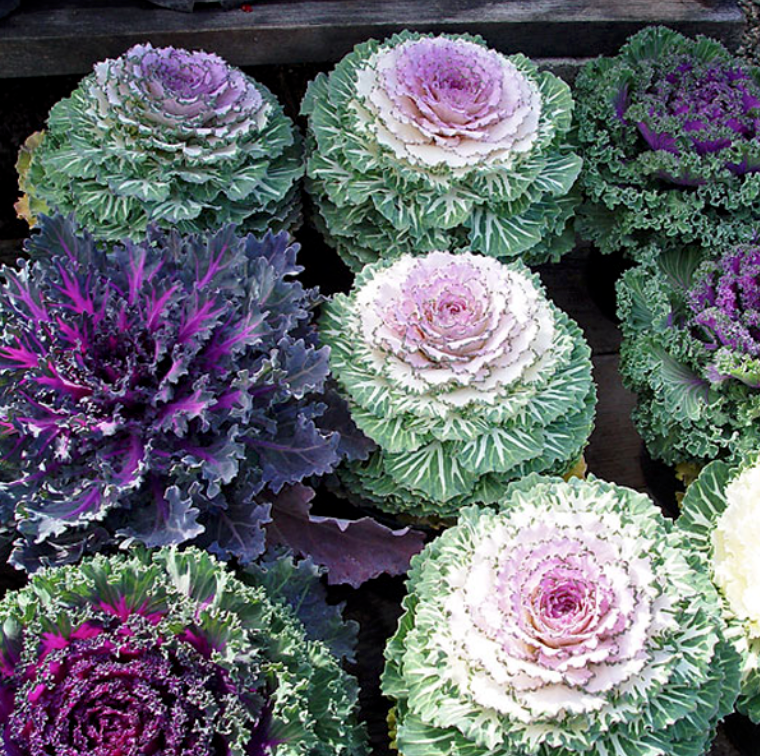 Buying: Brassica is a foliage rather than a flower. 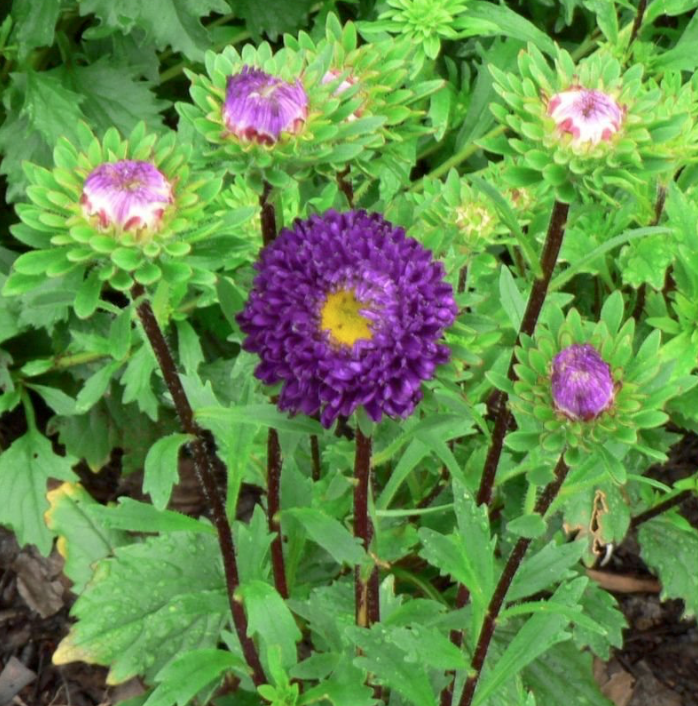 I have included it here as it is often mistaken for and used as a flower. Make sure the ends are not slimy and smelling of cabbage. As it gets old the lower leaves turn yellow. Arranging: The large heads are useful for adding substance and volume to big designs. Their gentle colors keep them from becoming too dominant in mixed designs. Brassica can be dyed or glittered for holiday and party use. Arranging: Matsumoto Asters work well in any mixed flower arrangement. Buying: The vibrant orange produces a dye that is still used today. 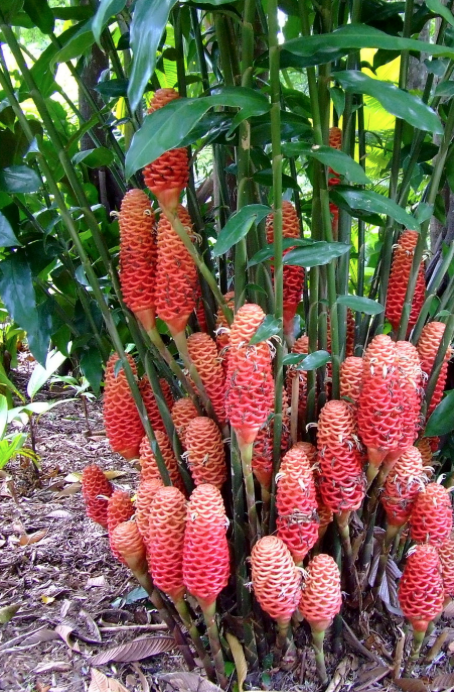 Look for fluffy orange tufts. 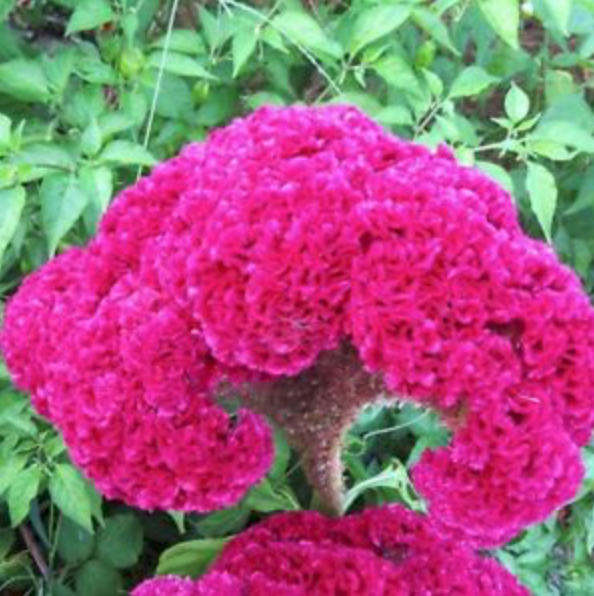 Buying: Celosia Argentea is the crested cockscomb which has a rounded form and is richly textured. This variety is very susceptible to botrytis, so check for brown spots. 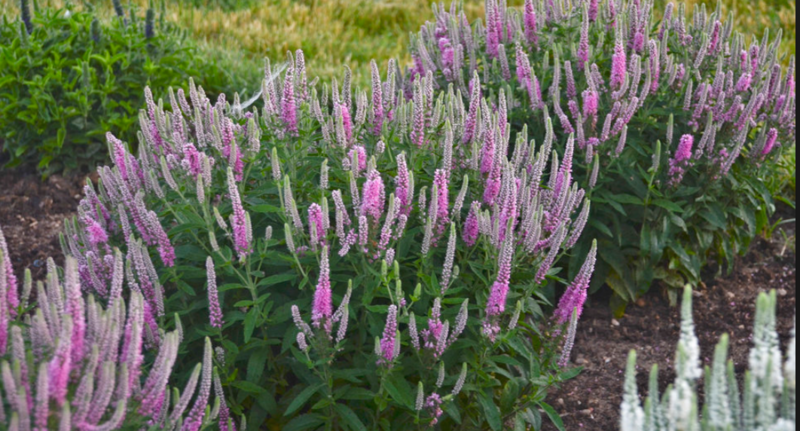 Celosia Plumosa has a pointed form (plumes). 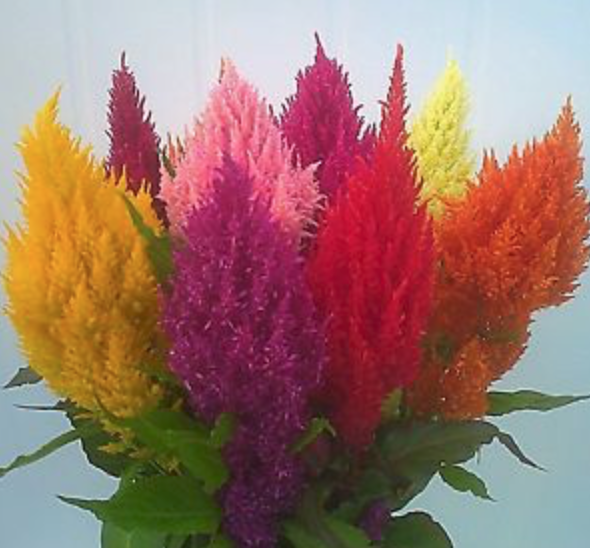 Arranging: Celosia is the perfect flower if you want a rich, sumptuous, bold, textural color scheme with impact. Combine with flowers that have a smooth texture for contrast. 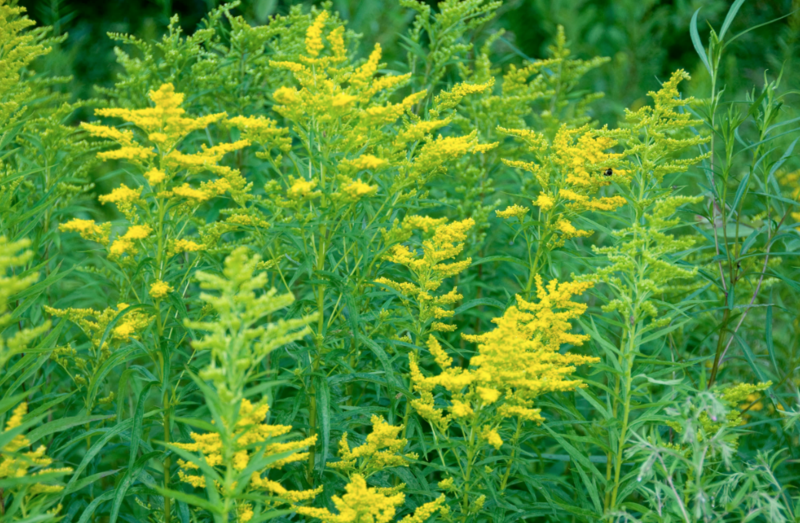 Buying: Look for green stems, no pollen shedding and no gray mold. 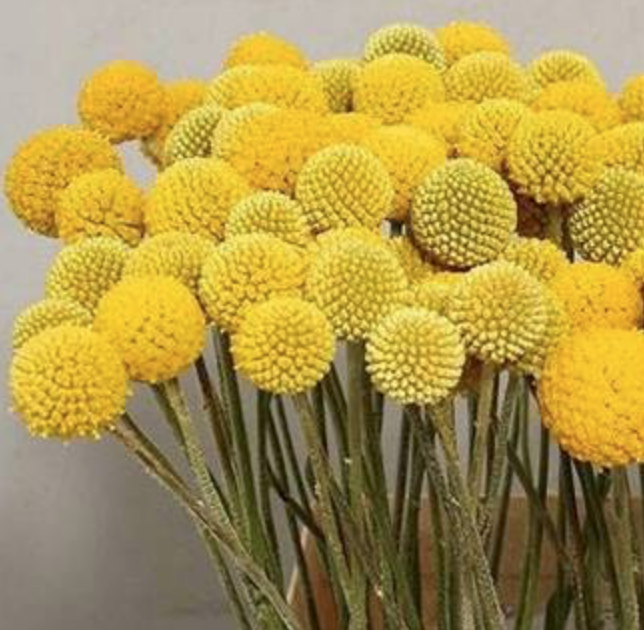 Arranging: Contemporary designers love Craspedia. 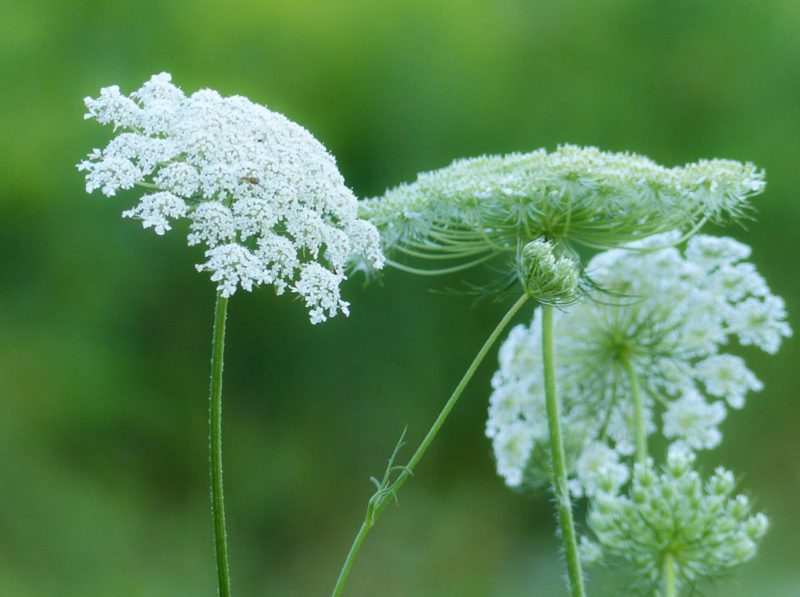 The flower heads are small, so they look nice grouped to make a stylized shape. Buying: Purchase with the flowers open. 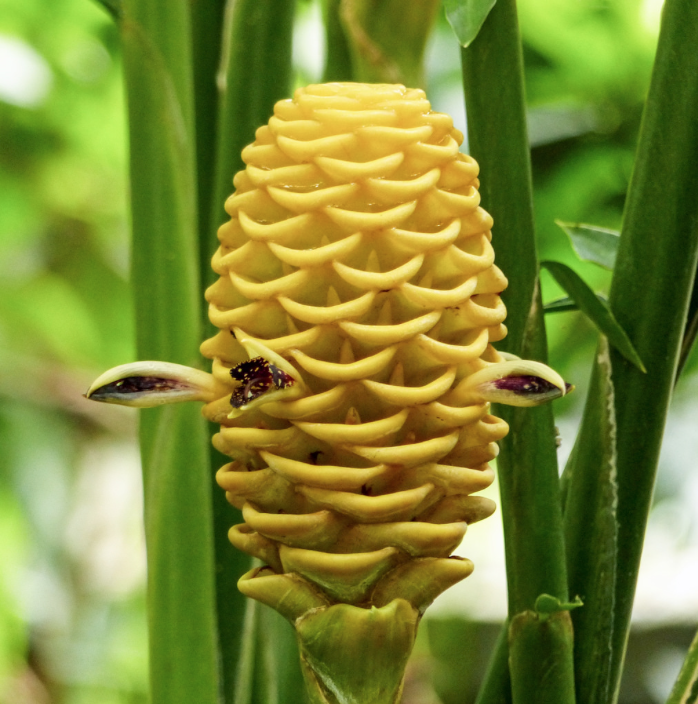 If they are too immature the flowers will not open. Check to see that the stems are not broken. Arranging: Remove all foliage that will be under the water. 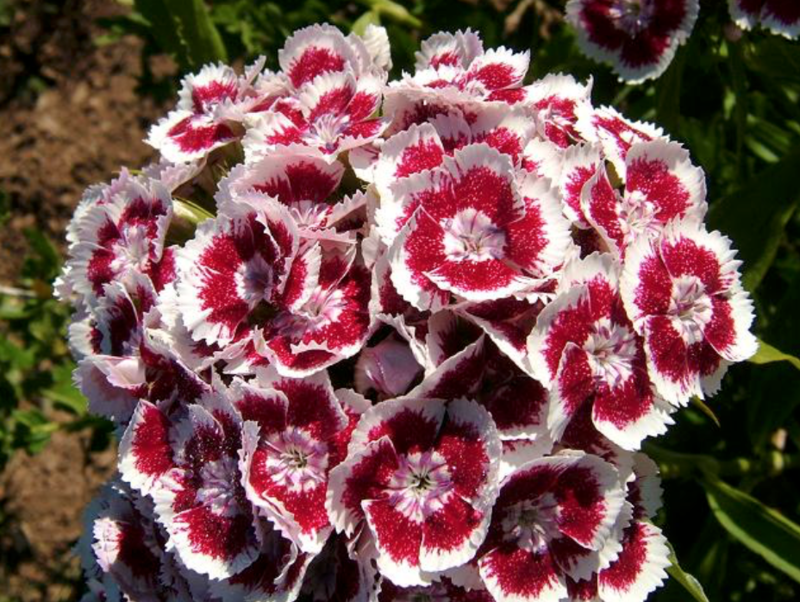 Sweet William looks delightful in mixed bouquets, hand ties, table centerpieces, vase arrangements, and it fills out any mixed arrangement. Buying: Check that there are no brown spots and that the stems are not broken. Arranging: Remove all foliage that will be under the water. Green Trick works well in any style of arrangement, from vintage to contemporary. Can be cut short or used long. 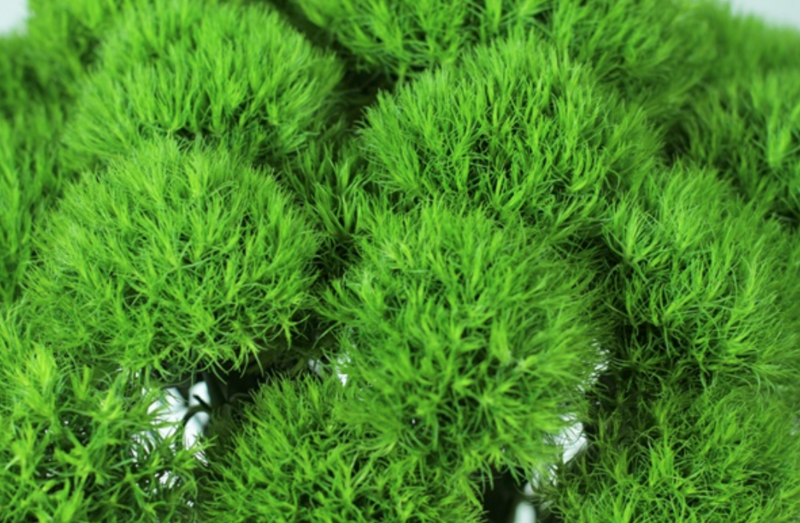 Works well grouped together to resemble moss in a contemporary design. 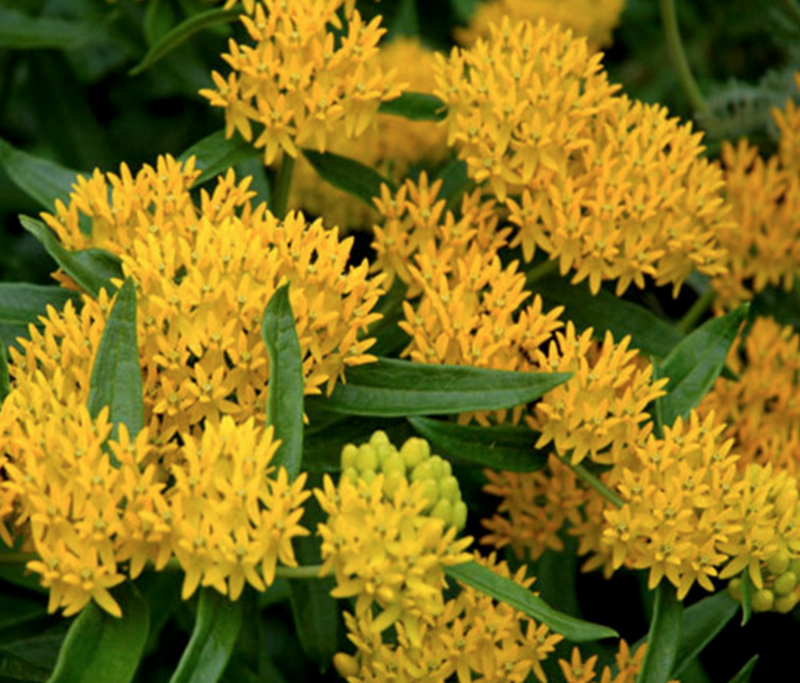 Can be used in vases or floral foam. 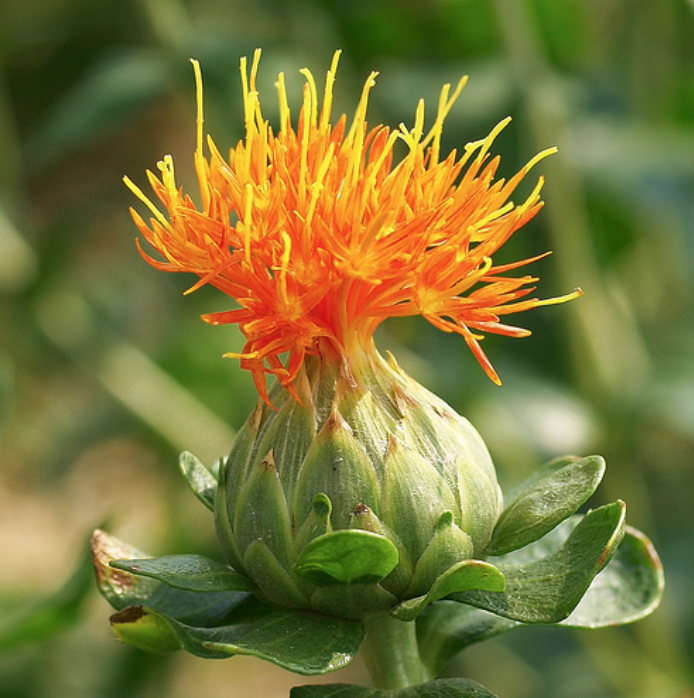 One of the most interesting and versatile flowers. 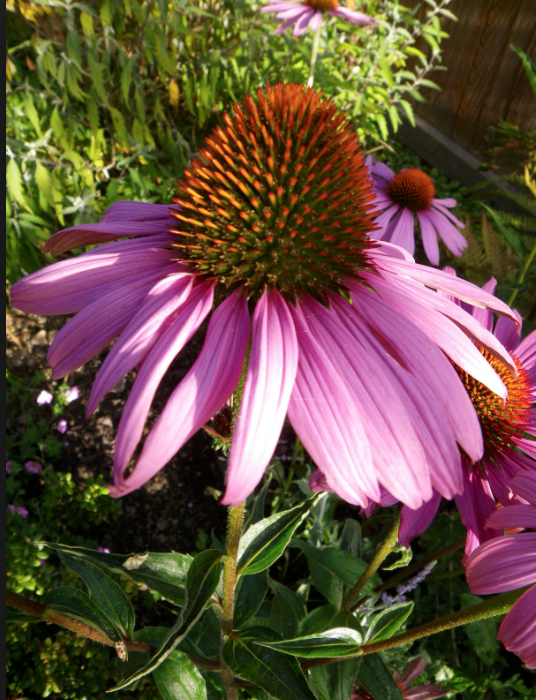 Buying: Echinacea is an herbaceous, drought tolerant perennial. 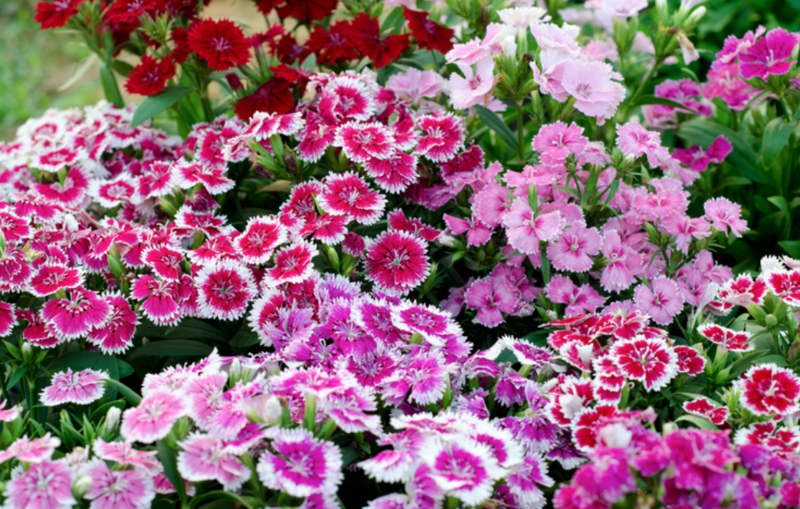 Avoid buying flowers with brown spots. Make sure the stems are strong and not bent. 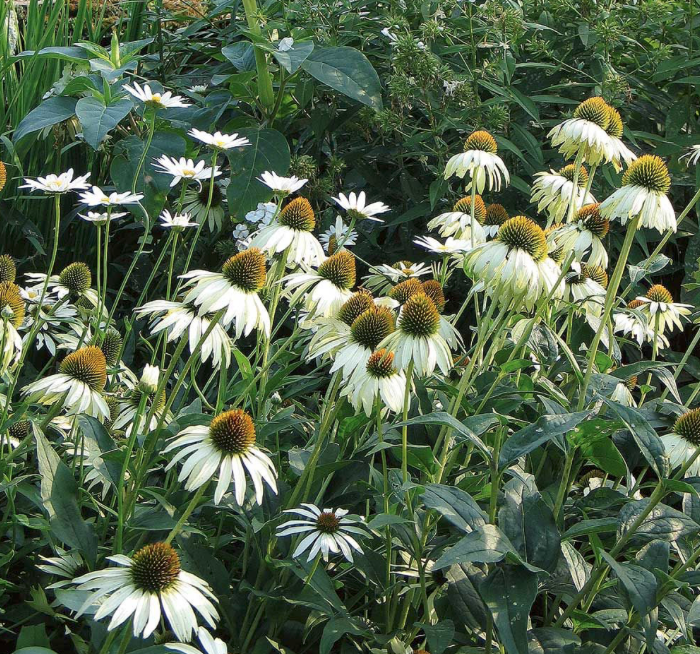 Arranging: Echinacea is widely used in mixed arrangements, but is also interesting in contemporary designs. It is very popular in bridal bouquets and is a beautiful addition to hand held bouquets and boutonnière. Buying: Look for crisp leaves and petals. None of the leaves should be yellow. 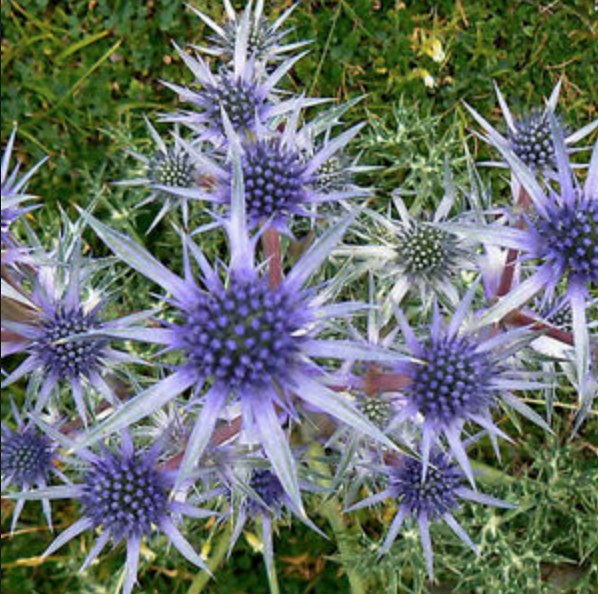 ​Arranging: Similar to Scottish Thistle and is often used in Scottish themed arrangements. Frequently used in Boutonnieres and Corsages. 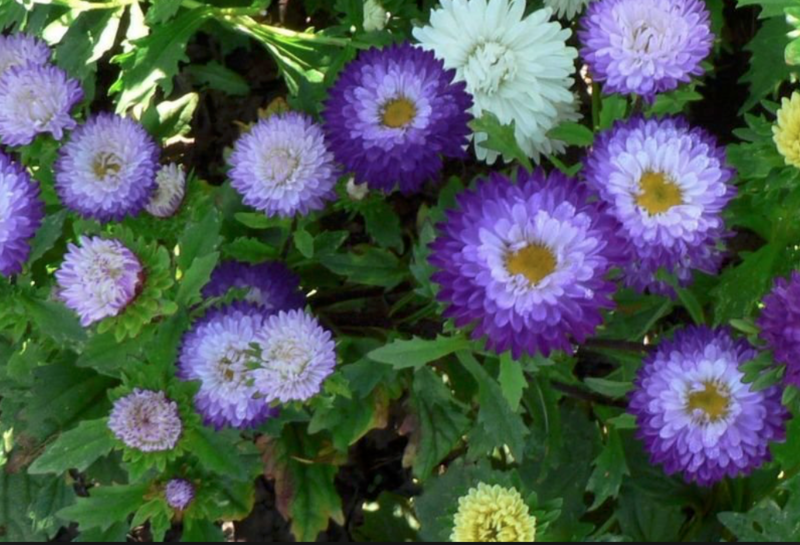 Looks good in arrangements with cream colors, soft pinks, purples and blues, where it adds great texture. 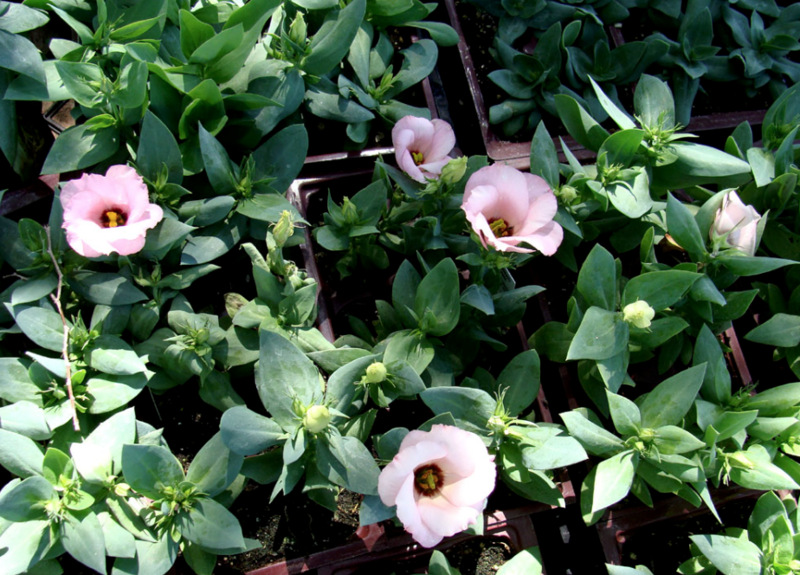 Buying: There are many new varieties and colors of Lisianthus. Check that there are no brown spots on the petals, which could be botrytis. 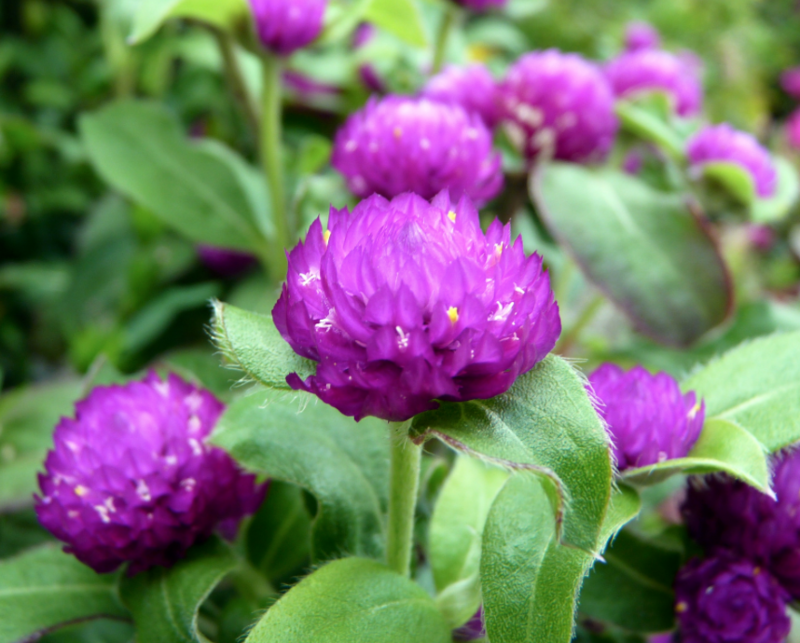 Number of flowers on a stem varies. 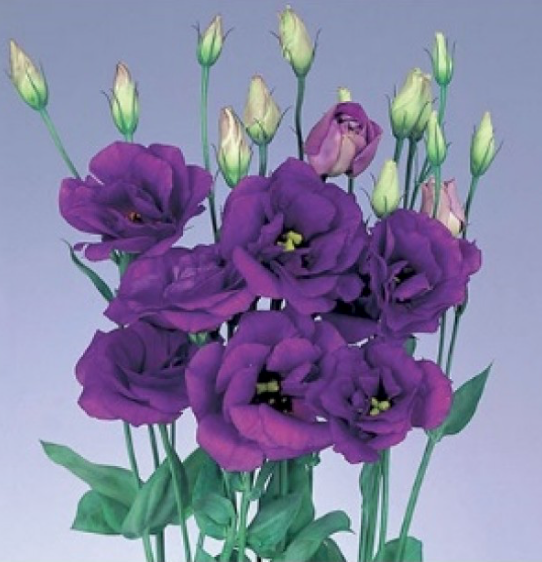 Lisianthus is a thirsty flower, so always condition it quickly. Arranging: Lisianthus can be mixed with most flowers expect stiff ones such as Protea. 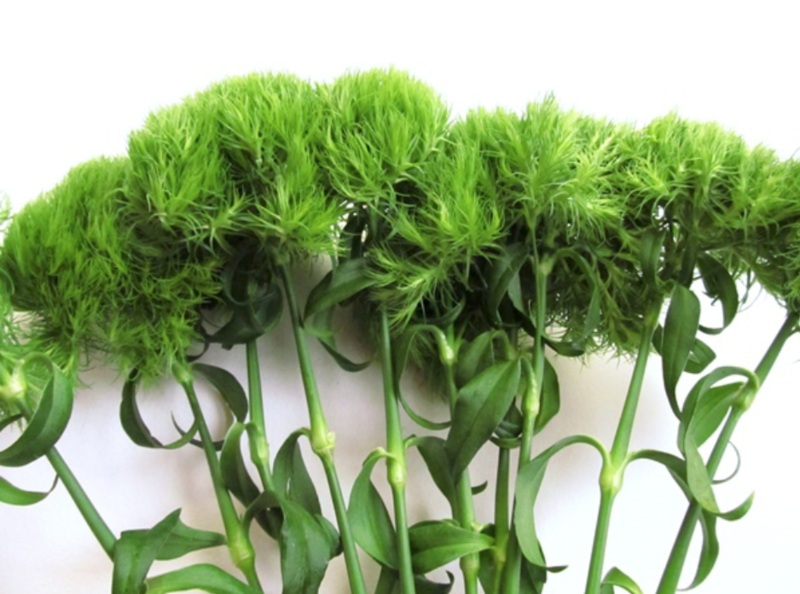 Keep away from heat as Lisianthus will dry out quickly if not kept cool. Arranging: Great textural and color addition to any mixed bouquet. Looks good arranged in a low cluster in modern design arrangements. Buying: Must be fresh. Check that foliage is not brown. Squeeze a flower to check that it bounces back. 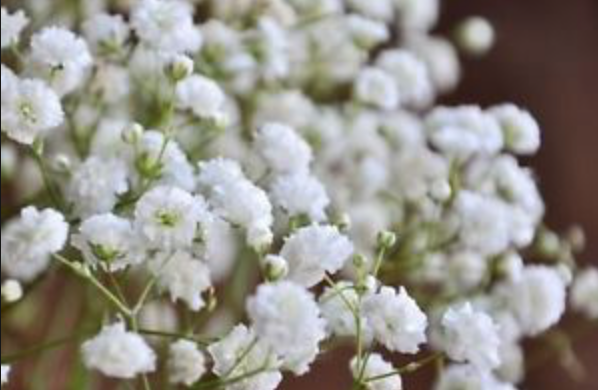 Babies Breath can be spray painted and/or glittered for the holidays or special occasion. Arranging: Delightful used on its own in sphere shapes and garlands, or mixed with other white flowers. 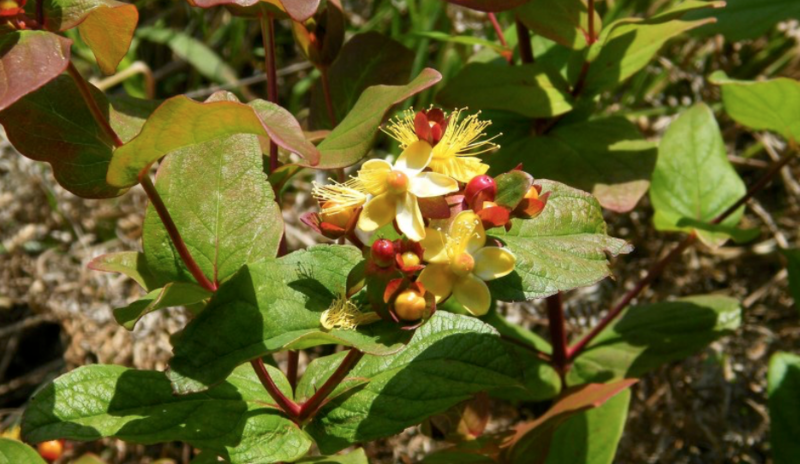 Buying: Hypericum should be listed under fruits as it is not a flower. 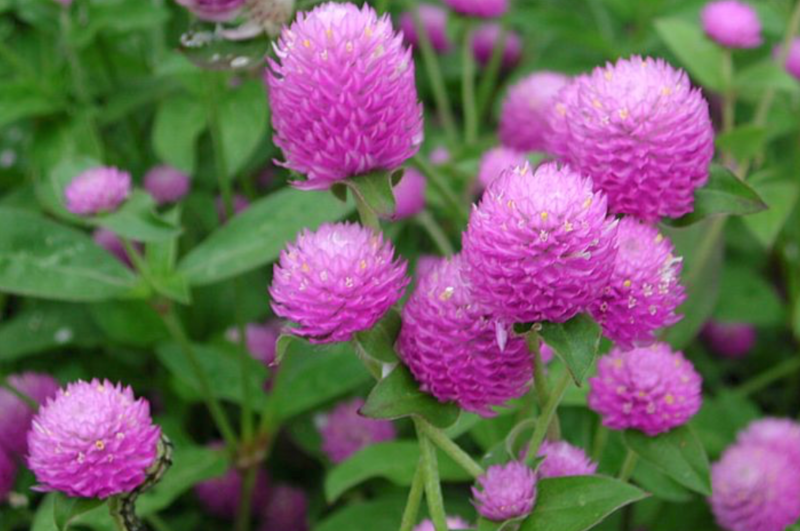 But it is so widely used in floral design, that I have included it with flowers. Check how many fruits are on a stem. There should never be black spots on the leaves. 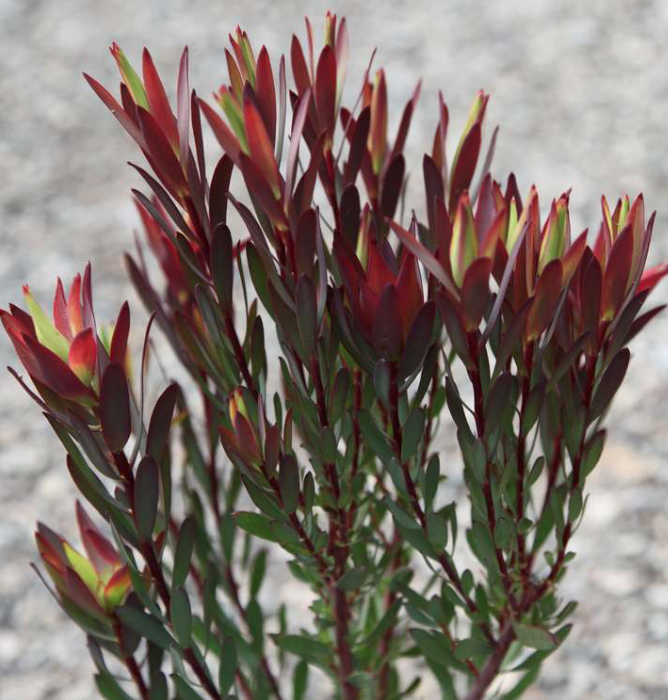 Arranging: Hypericum is an ideal accompaniment to all mixed flower bouquets for added texture. They can be sprayed with leaf shine to give extra gloss and extend their life. They are excellent wired for wedding work, boutonnières and corsages. 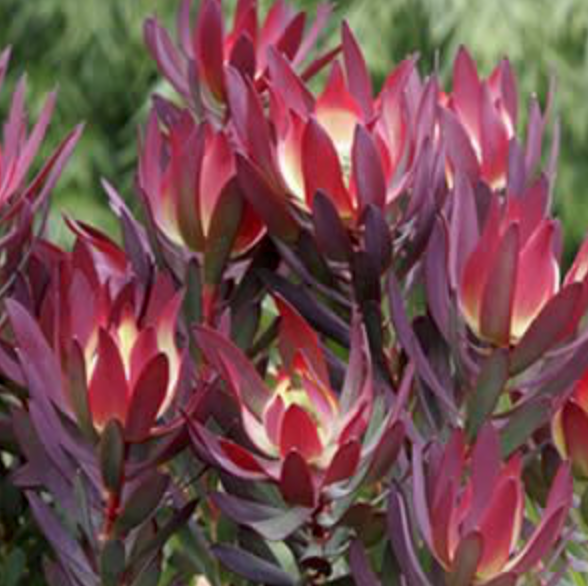 Arranging: Leucadendron is excellent in vase arrangements where it can last for months. Can be used long and short if the leaves are removed. 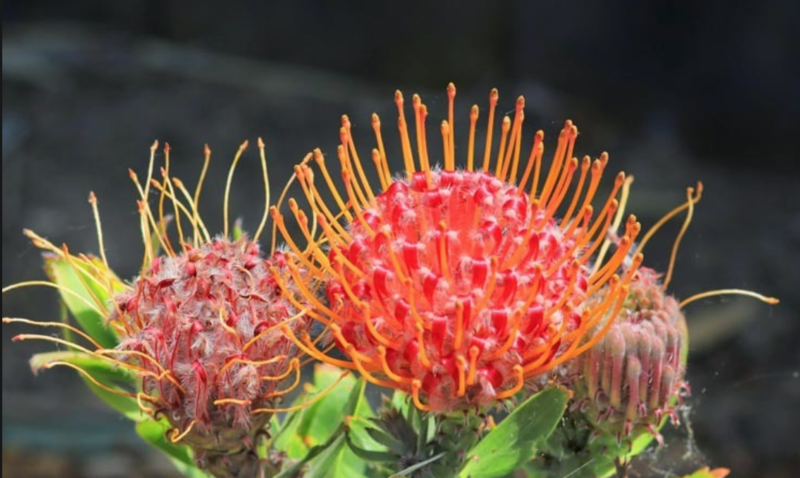 Looks great with other South African flowers in a mix. 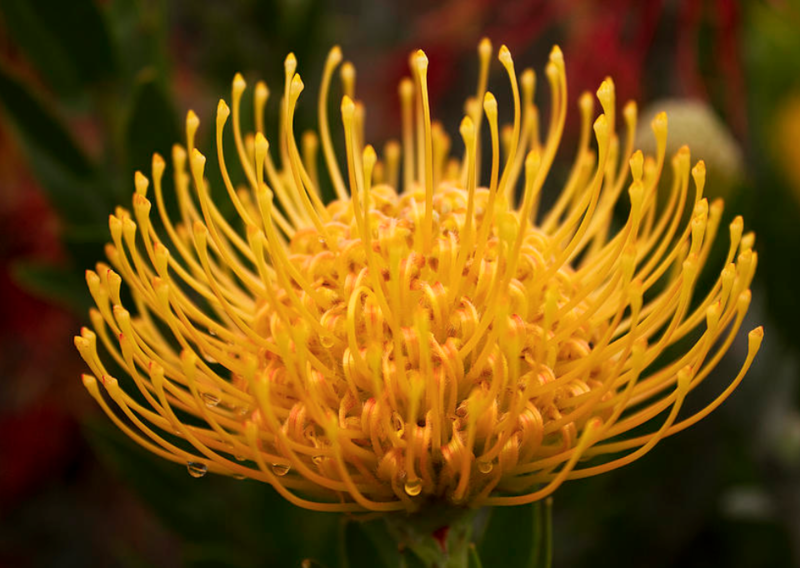 Arranging: Pin Cushion Protea is ideal for bold contemporary work. 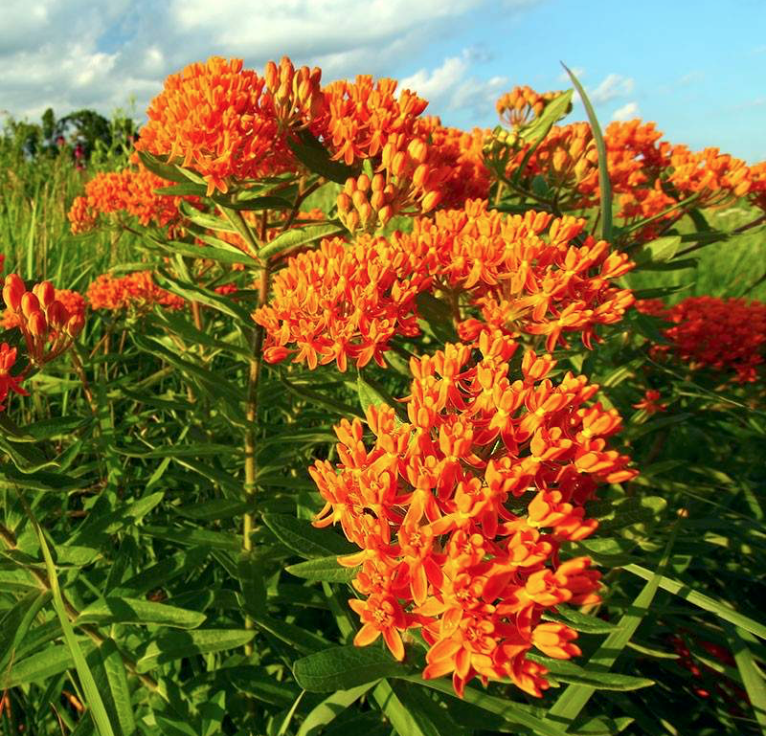 These flowers rarely wilt, so they are great for hot weather. Do not shake as the head can break off from the stem. 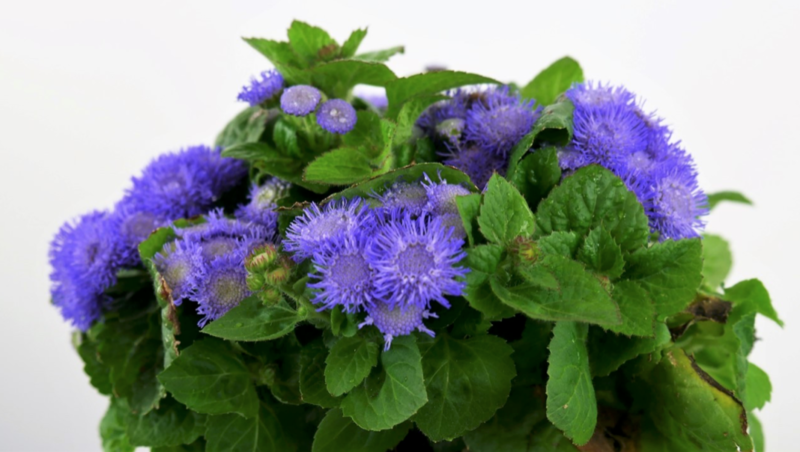 Buying: Check that the foliage is green and the stems are not mushy. This flower opens from the top downwards. Check that there is no mold. 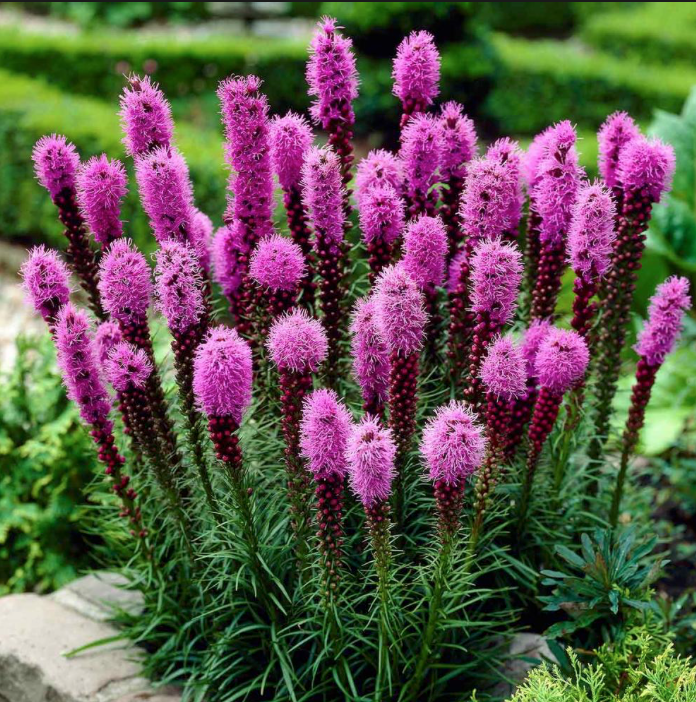 Arranging: The stems of Liatris a totally straight and can be arranged on their own with a frill of large leaves at the base, or they can be mixed with dramatic round flowers. They are striking in graphic contemporary designs. Arranging: Bells of Ireland are lovely in mixed arrangements. 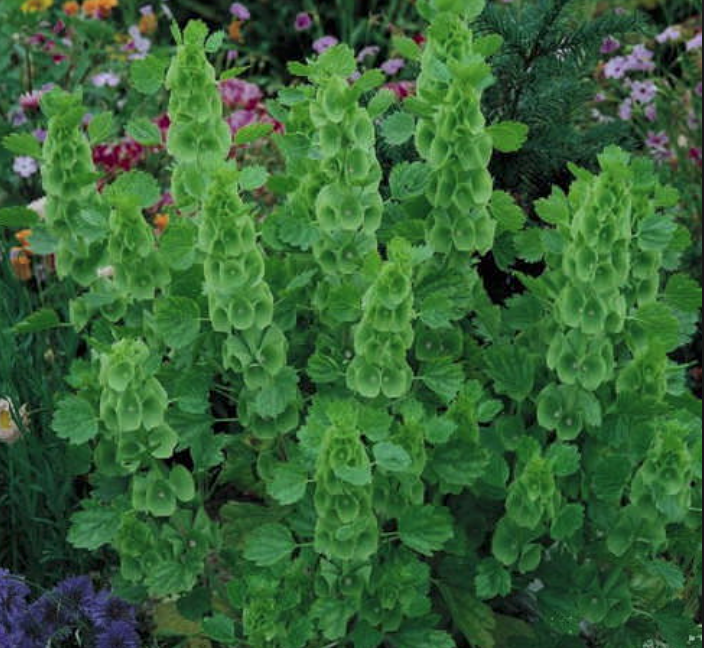 Moluccella have hollow stems that a wire can be inserted into to give added support or to creat interesting curved shapes. 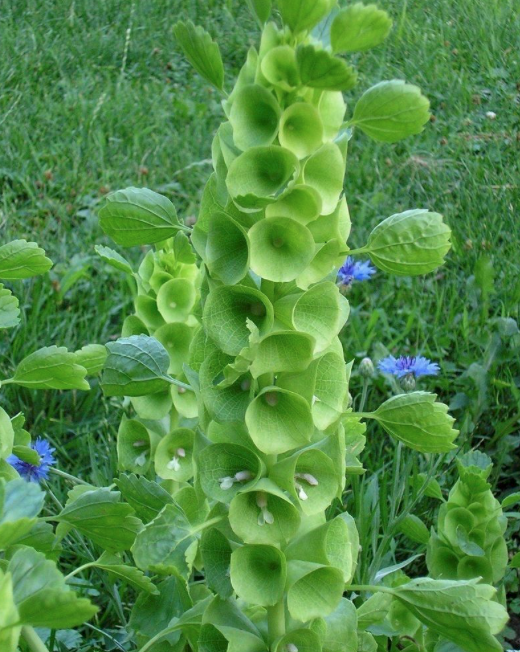 Bells of Ireland look great in a vase surrounded with a lower ring of contrasting colors. Arranging: Wonderful used in mixed flower bouquets for added texture. Their unusual appearance works well in contemporary designs. 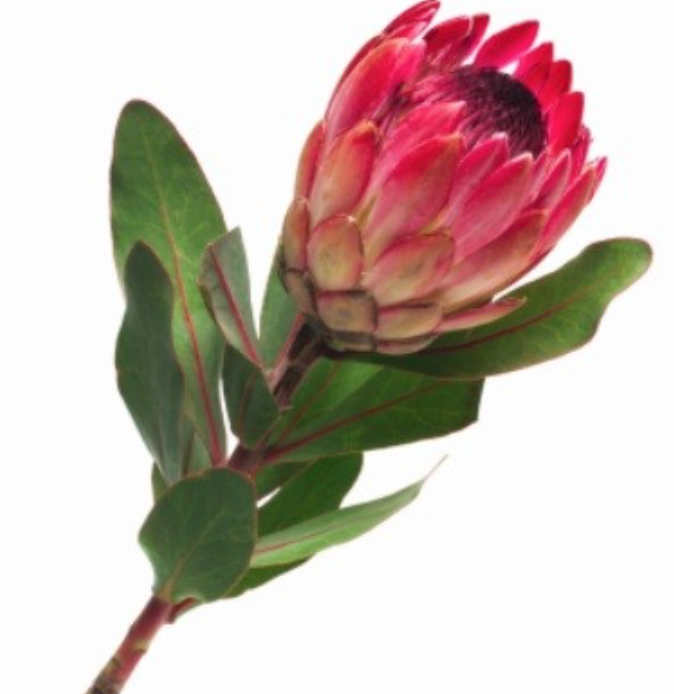 Arranging: Protea is a very impressive flower that looks good in an arrangement with other South African flowers. 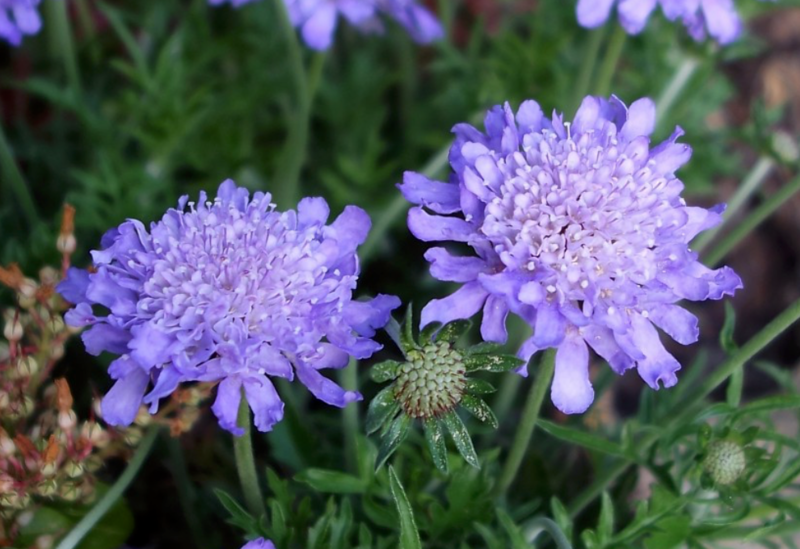 Arranging: Scabiosa flowers look wonderful in a mixed garden arrangement. You can float the flower heads in a glass bowl. 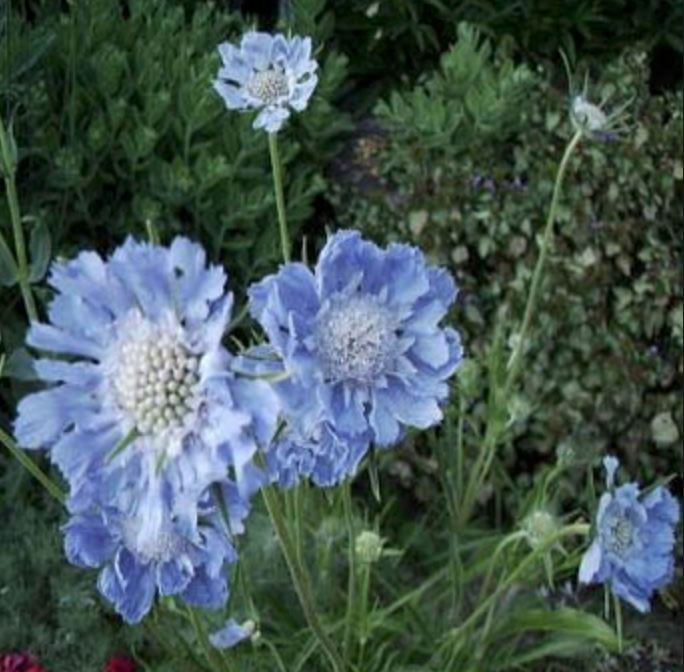 The Scabiosa seed heads are very popular and can be used for added interest and texture in any floral arrangement. 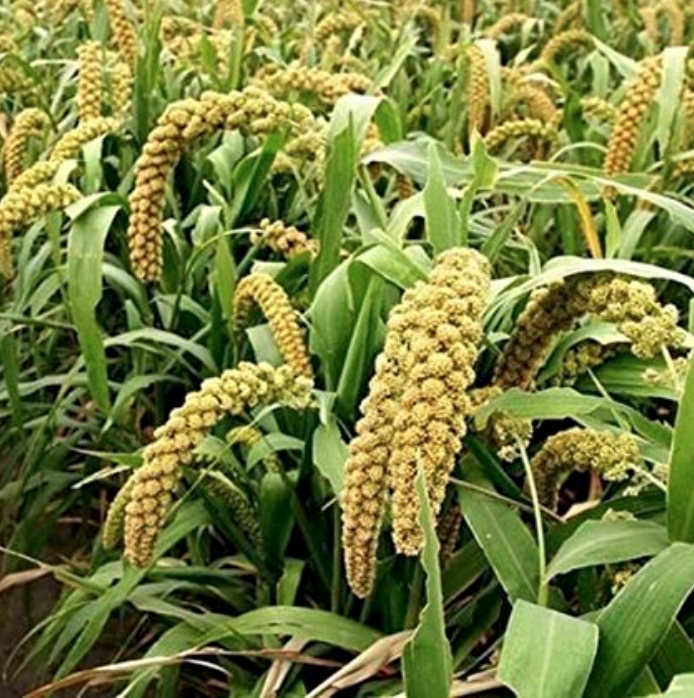 Arranging: Foxtail Millet has a wonderful draping quality and looks good in mixed arrangement grouped to form a side drape. 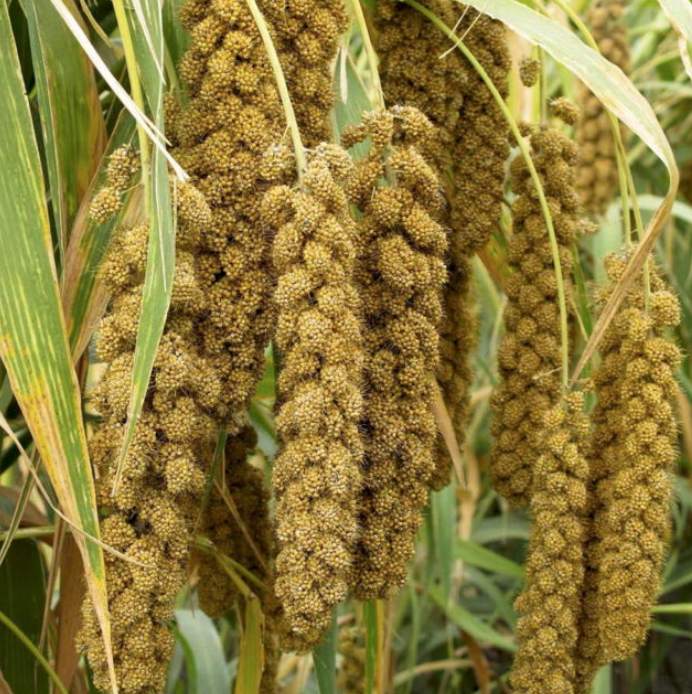 Millet has a wonderful textural quality. Looks nice spray painted for use in special holiday or event arrangements. Buying: Purchase stems with more open blossoms as the tight buds do not open. 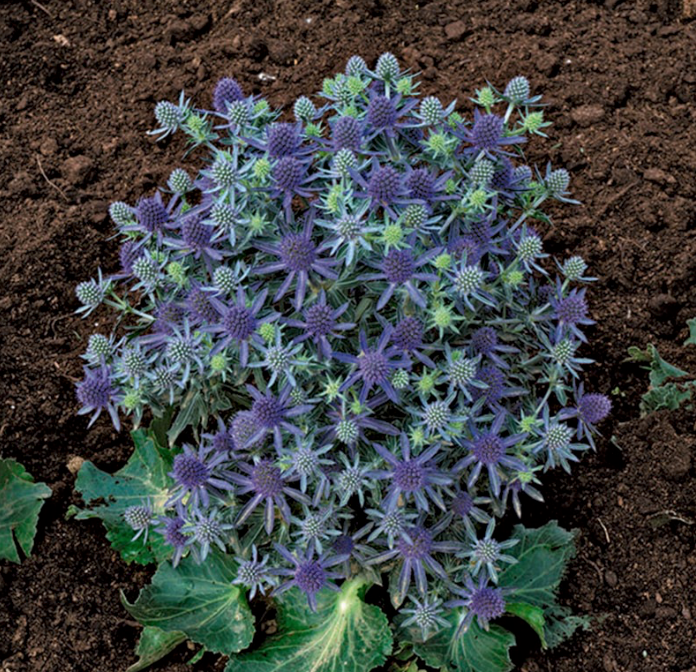 The some rule applies to Solidaster which has star-shaped flowers that are slightly larger. 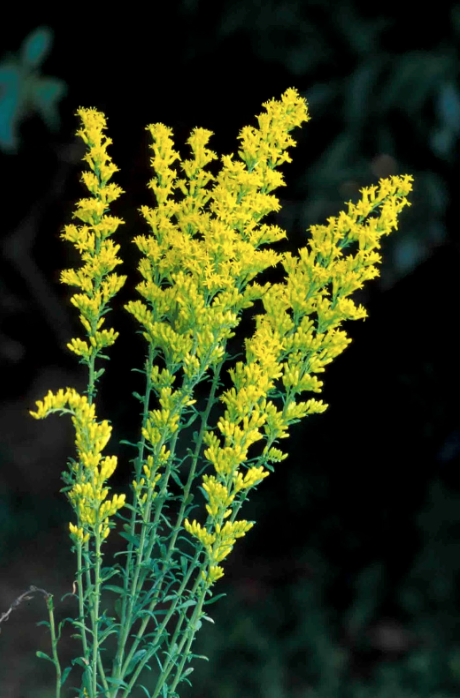 Arranging: Solidago works well as a filler and works great with strong form round flowers, to give a contrast of form and textures. Buying: Do not buy Veronica that has floppy tips. Check that the foliage does not look dry. 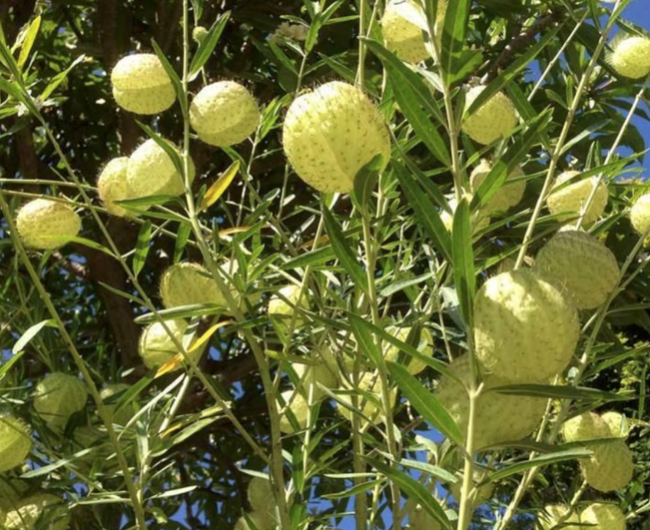 Buying: An exotic flower that looks like a beehive. There should be not brown spots on the flower. Does not like cold weather.